Diego: Its nose is dry. Sid: That means there's something wrong with it. Diego: Someone should lick it, just in case. Manfred: Hey, he's wearing one of those baby thingies. Manfred: So, if he poops, where does it go? Sid: [slight pause] Humans are disgusting. Diego: You two are a bit of an odd couple. Manfred: There is no "us"! Diego: [regarding the baby] I see. Can't have one of your own, so you wanna adopt. Dodo 1: ...burn and die. Dodo: Protect the melon! Tae-kwon-dodos, attack! Dodo: There goes our last female. 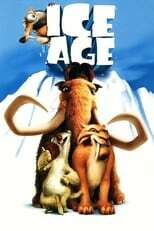 Dodo: This is our private stockpile for the Ice Age. Sub arctic temperatures will force us underground for a billion, billion years. Manfred: So you got three melons? Manfred: [to Sid] Okay, you. Check for poop. Sid: Hey, why am I the poop-checker? Manfred: Because returning the runt was YOUR idea, because you're small and insignificant, and because I'll pummel you if you don't. Manfred: Look, if either of you get across that sinkhole in front of you, you get the sloth. Sid: That's right, you losers! You take one step and you're dead! Sid: You were bluffing, huh? Manfred: Yeah, that was a bluff. Manfred: Sid, the tiger found a short cut. Sid: No thanks. I choose life. Diego: Then I suggest you take the short cut. Sid: Are you threatening me? Sid: [patting Diego's head] Way to go, tiger. Sid: [after Diego leaps over a river of lava] Wow, I wish I could jump like that. Sid: [the baby's been crying for hours] I bet he's hungry. Manfred: How about some milk? Sid: Ooh, I'd love some! Diego: Not you, the baby! Sid: Well, I ain't exactly lactating right now, pal! Diego: You're a little low on the food chain to be mouthin' off, aren't ya...?! Sid: [While hanging onto Manfred's trunk] You have beautiful eyes. Manfred: Get off my face. Diego: "...Lord Of Touch Me And You're Dead". Sid: From now on, you'll have to refer to me as "Sid, Lord of the Flame"! Manfred: Hey, Lord of the Flame, your tail's on fire. Sid: Hey Manny, aren't you forgettin' somethin'? Sid: But you just saved him. Manfred: Yeah, well I'm still trying to get rid of the last thing I saved.